The end of an era came in 1966 when the Somerset & Dorset Railway finally closed, changing a way of life for ever. The same year saw the formation of the Somerset & Dorset Railway Circle, preserving the memory and heritage of the line, which subsequently became the present Somerset & Dorset Railway Trust. We marked the anniversary of these significant events during 2016 and the Somerset & Dorset Railway Trust staged nearly one hundred activities and events, principally along the routes of the railway throughout the two counties, but also beyond. 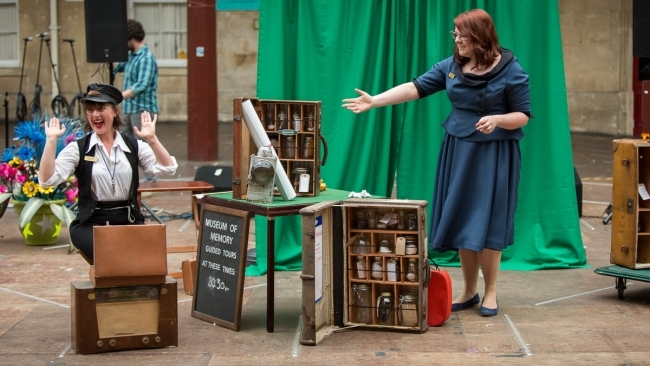 These activities included exhibitions, talks, films, guided walks, cycle rides and live arts performances. Events kicked off on 2nd & 3rd January with the Trust’s annual model railway exhibition at Edington Village Hall, where all layouts were based on the S&D in a variety of scales. On Saturday 16th January there was a celebrity lunch at Bath Green Park, marking the 50th anniversary of the founding of the S&D Railway Circle. 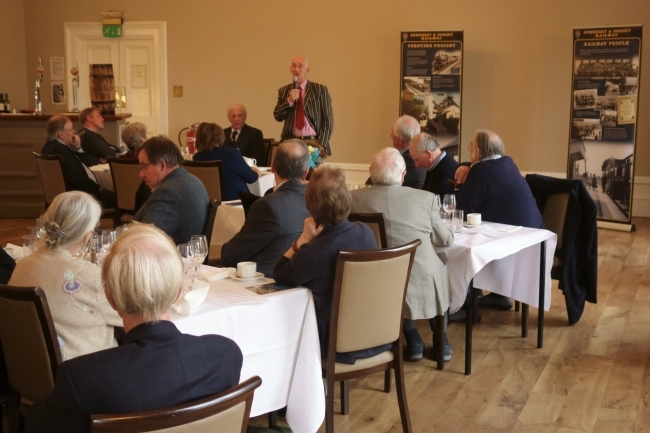 Paul Atterbury, well-known for his many and wide-ranging books on railways, was the guest speaker. In March the principal focus centered on the closure weekend of 5th & 6th. The Trust’s restored SDJR 6-wheeled coach, built in 1886, was in action carrying passengers for the first time since 1930. 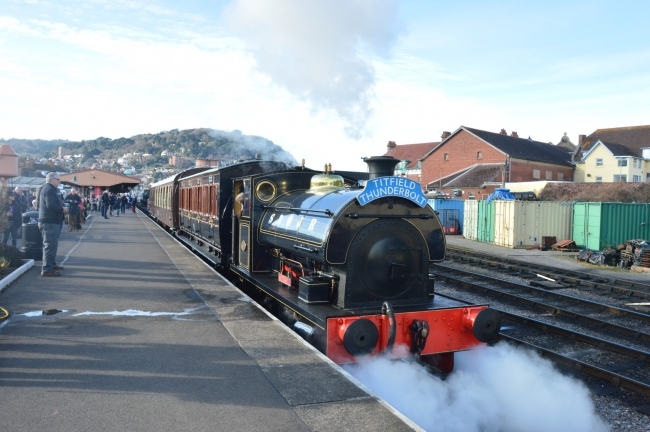 The West Somerset Railway ran special commemorative trains over that weekend, followed by a full Spring Gala with an S&D theme between 10th and 13th March. Locomotives included two S&D 7Fs, a Bulleid Pacific, Fowler 4F and BR 9F, all classes associated with the S&D in its later years. 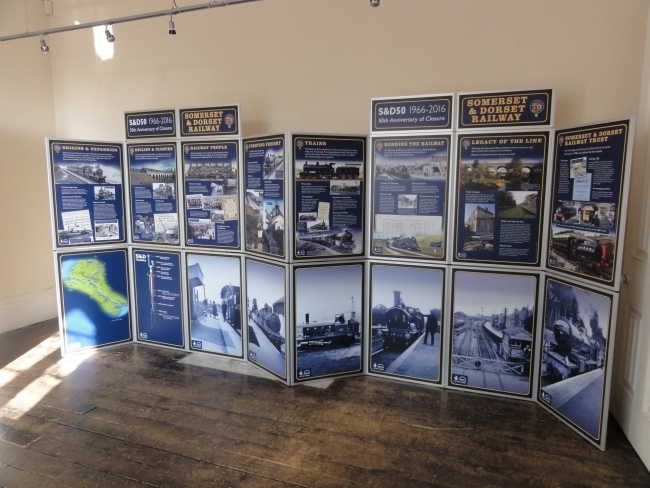 An exhibition at Evercreech Village Hall was organised by local resident Andrew Tucker and supported by the Trust, Wells Railway Fraternity and Evercreech & District Local History Group. 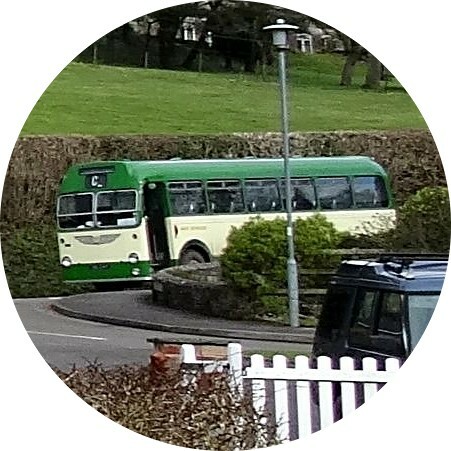 A 1960s bus ran a ‘rail replacement’ service to Cole Station. 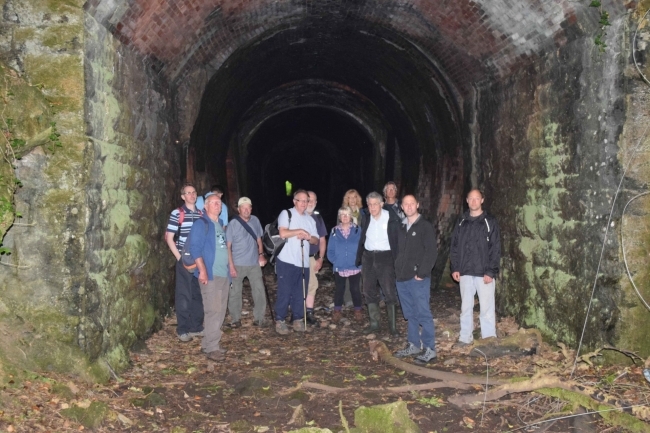 The first, of two S&D Festivals took place in the Radstock area on 18th & 19th June, featuring a convention with talks on the S&D’s arrival, closure and heritage along with the Trust AGM and a guided walk. The S&D Railway Heritage Trust held their Midsummer at Midsomer event on the same weekend. The second took place at Blandford on 30th & 31st July, arranged in conjunction with the Blandford Forum Railway Club and the Blandford Railway Arches Trust (BRAT). Included were an exhibition and a guided walk on Saturday 30th. 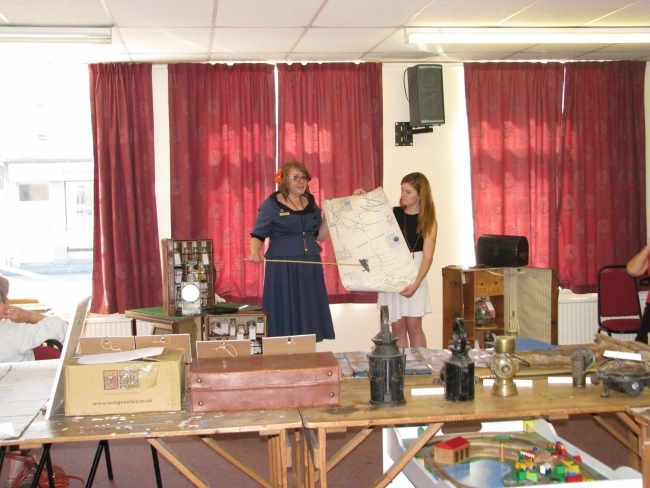 An Exhibition at Burnham on 5th & 6th August, relating to the Branch, constituted a third S&D Festival. A travelling exhibition visited locations throughout the Somerset and Dorset area over the course of the year, engaging with communities to deliver a programme of events and activities, with support from local councils, heritage groups and societies. The exhibition visited around 40 venues along the former S&D routes including Glastonbury, Burnham-on-Sea, Bath, Street, Sturminster Newton and several locations in the Poole and Bournemouth areas. A static version of the exhibition could be seen at Washford throughout the year. Displays explored the impact of the railway on local communities from its development, through its working life, since closure and also highlighted issues on the future use of the trackbed for public access, sustainable transport, railway restoration and local heritage. Where possible, guided walks along sections of the route were arranged to link with the exhibition. Travelling with the exhibition to many venues was the S&D in 50 Objects - fifty objects and images telling something of the story of the Railway from its humble origins, through expansion and development, to closure in 1966 and during the fifty years since. 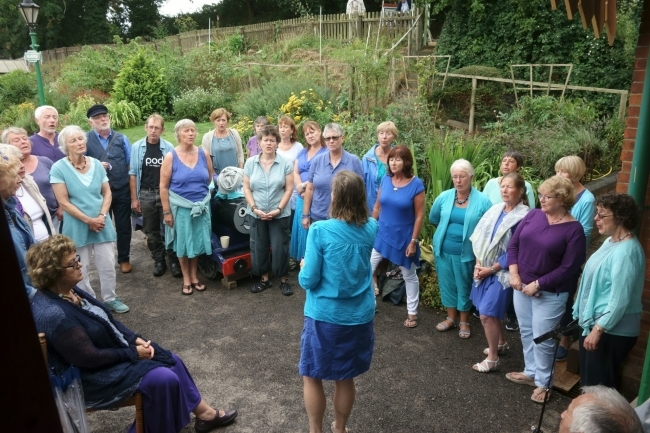 We were delighted to welcome the Quangle Wangle Community Choir to our programme to sing songs in celebration of journeys - especially by train. This included their wonderful interpretation of the affectionate tribute to lines closed in the 1960s by Flanders & Swann - The Slow Train. 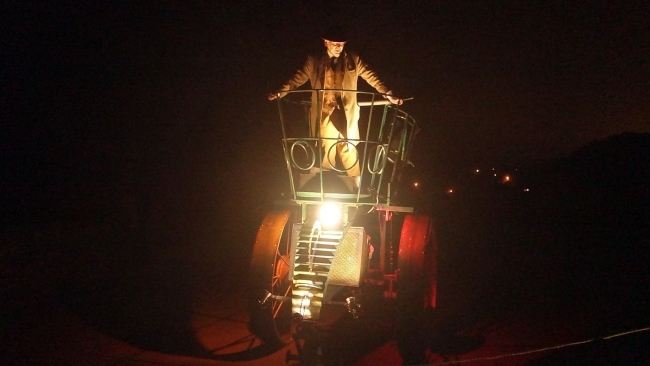 The outdoor arts company - Rag & Bone – also brought alive the heritage, sounds and atmosphere of the railway through processions, sound and music at several S&D locations. A series of guided trackbed walks, coincided as far as practicable with the locations of the travelling exhibition and other events. 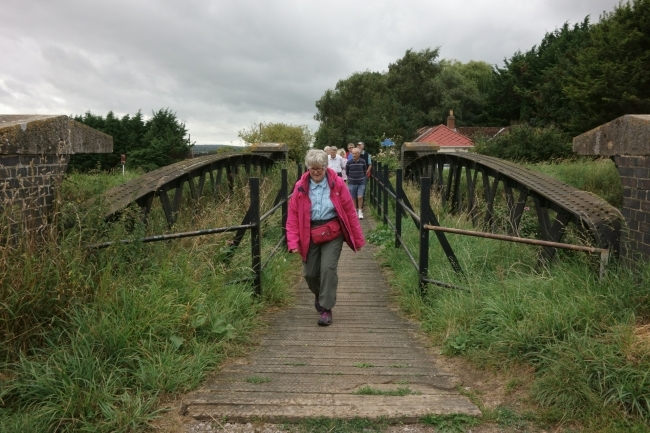 Walks varied between looking at detailed remains of the line - of particular interest to the knowledgeable enthusiast - and others of a more general interest to the public at large and those curious to learn more about their local history and the part that the S&D played in it. The general interest walks outlined relevant history and stories along the way. 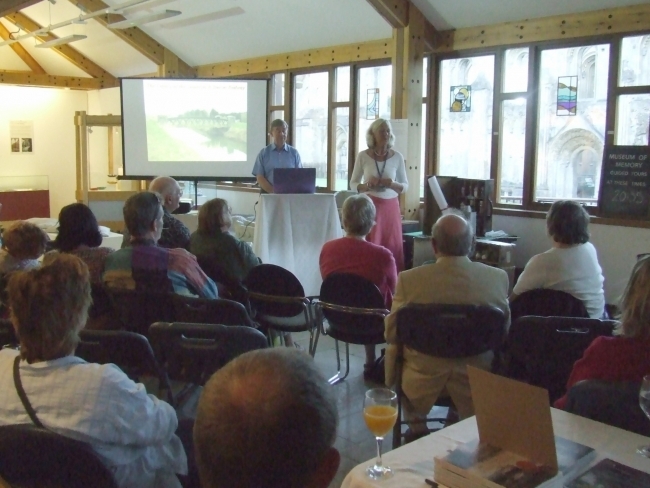 Amongst others, included were: Blandford area; Glastonbury – Shapwick; Sturminster Newton area. Mike Arlett led a walk in the Combe Down – Midford area. Cycle rides were undertaken along trails that follow the S&D formation, led by Tim Chapman. Two illustrated presentations were given by Mike Beale to some 1,500 people at over 30 venues during the year. The Legacy of the Somerset & Dorset Railway covered the social history of the railway, its impact on the local community and the work of the Trust and others in preserving the heritage, aimed at general interest groups. The End of the Line, aimed at railway enthusiasts, chronicled the life of the railway from publication of the closure notice in June 1965, through the ‘false’ closure in January 1966, the subsequent emergency timetable, to the final weekend of 5th & 6th March 1966 and immediate aftermath. Credit for the photos above; Rod Ormston, Dave Temple, Roger Newport, John Strickland, Patrick Stevenson, James Stone, Owen Benson Visuals. The project was generously supported by the Heritage Lottery Fund through its Our Heritage grants programme.